Eileen Estrem graduated from a 200 -hour program in 2009 under the studies of Silvia Mordini and Mara Campbell. She is a Yoga Alliance Experienced Registered Teacher and is approved to provide Continuing Ed (YACEP). Eileen has taken extensive Continuing Ed training through various workshops and self-study with the focus on bringing a healthful and healing aspect to yoga. She does this not only through the modification of poses, but also through the guidance of calming One’s own mind and teaching breathe response. Her goal is to inspire individuals to improve their general health and overall wellbeing, guide them in rehabilitating from certain health conditions and find a personal yoga practice that fits their own body, thus avoiding injury. 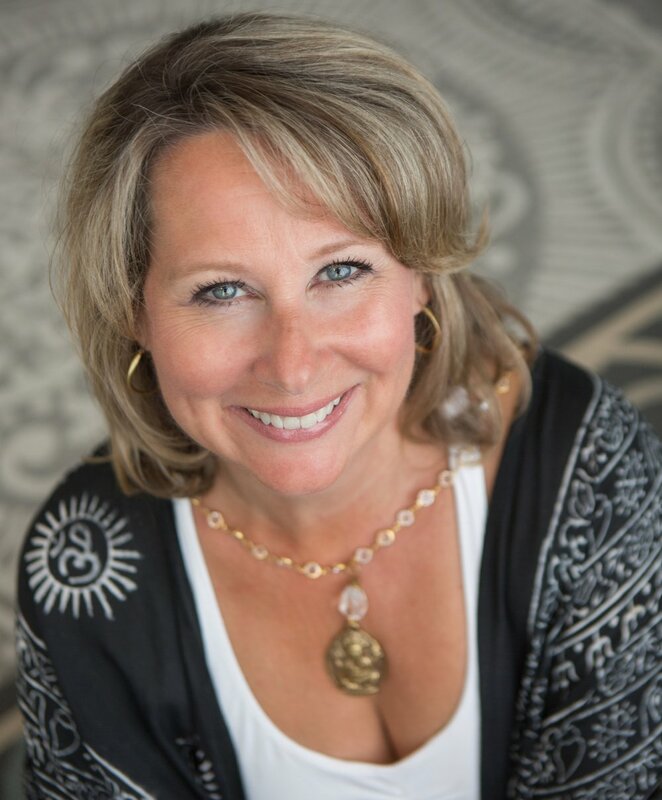 She is a Chopra Certified Meditation Teacher, Certified in the following: Divine Sleep Yoga Nidra (Kripalu), Seniors and Bone Strength (Ananda), Chair/Gentle/ Therapeutic Yoga, (Sherry Zac Morris) bio-Mechanic of the Body (Martin Kirk). Has attended workshops on: Mindfulness Based Stress Reduction (MBSR), Mindfulness Meditation w /Sharon Salzberg, and Advanced Vinyasa Techniques w/ Daren Friesen and more! I am Kristin, an urban hippie. I am not perfect, which is why I practice yoga. I love yoga, every limb. Yoga with its limbs and branches is a constant practice for me. Yoga has been a part of my life for over 12 years. Teaching yoga is a dream job. I wouldn’t even call it a job, it’s pure bliss. I am Certified 200 hour RYT. I trained with Wendy Dahl and Adam Braun at Total Body Yoga through Blue Sun Yoga in 2014. My playlists are the music I love; I love love love Music. Music is a huge part of my flows and days! I have an eclectic taste in music. I was introduced to yoga with my husband, Jim in 2002. This was during the first year we spent a winter in Florida. When we moved to a new Florida resort location, I missed the energy of a group practice so I invited friends to join me. Soon I was asked to teach for the resort, so I delved deeper into the practice of yoga studying on my own. Then the tragedy of my husband’s sudden death brought a sadness that is hard to explain to this day. I still practiced yoga, but a year and half after JIm’s death in 2008, I decided I needed to find a way to move forward. I spent a weekend at the Kripalu Center for Yoga and Health. It changed my life: I found peace with the support of the teacher and other yogi’s. From that point on, I decided to use yoga to help others. I became a certified RYT teacher in 2011 training with Silvia Mordini, Mara Campbell and Wendy Dahl. I connected with the Anusara yoga philosophy that is heart focused and points to finding peace from the spirit within each of us. I have continued my education at Kripalu. This included ‘Finding Your Dharma’ with Stephen Cope, Director of Kripalu Institute for Extraordinary Living and certification in Yoga Nidra with Jennifer Reis. Two of my favorite meditation practices at Kripalu included Freestyle and Qigong (moving meditation). I have also had training in Ananta Yoga (for those who have physical and cognitive challenges). I feel fortunate being able to combine these elements in teaching Gentle, Restorative, and Yin yoga as well as Yoga Nidra and meditation. As a certified Reiki practitioner, I like to combine this practice in Restorative Yoga. In the summer, I share my love of gardening through garden mediation workshops at my home in Gurnee. Isabel Raci, a lifelong practitioner and student of yoga and meditation, is a Level 1 Yoga Therapist working toward C-IAYT, E-RYT with Yoga Alliance, Certified Meditation Teacher, relaxation guide, and Laughter Yoga Leader. She is passionate about the practice of meditation and yoga as self-care. “I have noticed that all of life can be a meditation, if we allow. Even chores such as cooking or cleaning can take on a meditative quality when we remember to breathe, to remain mindful of the present moment. Yoga has helped me recover from injuries and stay centered during various life changes. My teaching is alignment-based and happy. My goal is to provide a safe, nurturing and lighthearted environment for students. I have been practicing yoga for more than half my life. I came to yoga as a way to manage stress while working as a CPA. It has seen me through three pregnancies and all that life brings. After many years thinking and talking about becoming an instructor, I finally took the leap! I recently completed my 200-hour training and look forward to sharing the benefits of yoga with others. My goal is to make yoga accessible to all, as the benefits to physical, emotional and spiritual health are so great. Hi, I am Colette and I am so happy to be here. I am passionate about self- care, creating balance and making connections. Years ago, I was drawn to yoga as a personal practice and have been teaching a mindfully sequenced flow to groups and individuals since 2011. Yoga inspires me daily to cultivate a greater awareness of my breath, actions and movement in life. My intention in my classes is to create a space where students can reconnect with themselves. In addition to being a registered yoga instructor, I am a nationally board certified wellness coach and reiki master practitioner. Yoga has been a part of Sarah’s life for 10 years. Her practice has helped her grow stronger, more flexible and live a peaceful life on and off the mat. Yoga inspires Sarah to be the best person that she can be and to live each moment more mindfully. Sarah recently completed her 200 hour yoga teacher training with Emerald Heart School of Yoga. Sarah loves being a student of the practice and she is deeply grateful for the loving wisdom of her teacher Mara Campbell. Sarah loves to combine creative sequencing, strengthening poses, and an opportunity to work on flexibility each time you get on the mat. She seeks to help others thrive in their own bodies, mind and spirit by providing a meaningful message that will help you take your practice into daily life. She hopes that you will feel refreshed, nourished, empowered and balanced each time you come to class. Liz Richmond has been practicing yoga since 2001. Drawn to yoga for a quiet way to work with my body and keep it flexible, I was delighted to learn over time the physical and mental benefits the practice brought to my life. I was an avid cyclist for many years and yoga was the perfect balance for my body. I began to take formal yoga classes at my workplace and found myself drawn deeper and deeper into the practice. In 2012, my husband died and yoga brought healing and hope in a new and profound way to my life. I took a series of specialized classes for the bereaved under the guidance of Nancy Perlson. I found healing and I took much of what I learned into my work as a bereavement counselor. I took classes at the local park district, several studios in the area and knew I had to learn how to share this gift with others. I trained with Mara Campbell/Emerald Heart School of Yoga and am delighted to join State of Mind Yoga. My passion is the simplicity of Hatha yoga with a special focus on working with students who believe they aren’t flexible enough to practice yoga, or too old, or too whatever! Yoga opens us to new ways of doing and being in the world. I look forward to sharing in their delight as they experience the joy of yoga and the freedom alignment and breathing techniques give to our bodies, minds and spirits. Rebekka began practicing yoga in her teens. Naturally flexible, the practice appealed to her. She soon discovered the athletic side of yoga and sought out practices that challenged the body physically and broke a sweat. It wasn't until much later during an especially stressful time in her life that Rebekka learned to appreciate the softer side of yoga, and discovered that slowing down was sometimes healthier than "a good workout." Rebekka aims to incorporate balance into her classes, celebrating the many faces of yoga, which includes physical fitness. Rebekka is known for her patience, creativity and love for sharing her knowledge. Rebekka Herrington completed her 200 -hour RYT program in 2014, studying with Mara Campbell of Emerald Heart Yoga.